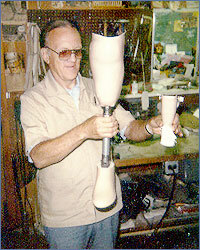 About Us - Northern Prosthetics & Orthopedic Inc.
Herb Schulze in the early days of his career, serving at Fitzsimons Army Hospital in Denver, CO.
Herb at his best, with both an adult’s and a baby’s prosthesis, circa 1980. 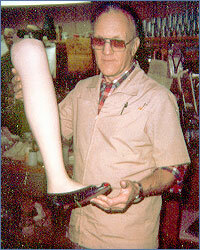 “The Finished Product” Herb with a finished cosmesis over a Flex Foot, circa 1980. 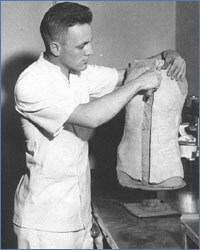 Herbert Schulze, Certified Prosthetist (CP), and Lothar Grade, Certified Orthotist (CO), founded Northern Prosthetics & Orthopedic Co. in 1961. 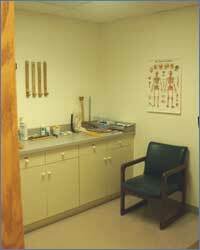 Operations began in a small storefront in Rockford, IL with no additional employees. Ten years and five employees later, the company moved to 2619 Charles St., a location where steady growth of the operation occurred over the next 25 years. In June 1992, Lothar Grade retired and Herbert Schulze became sole proprietor. 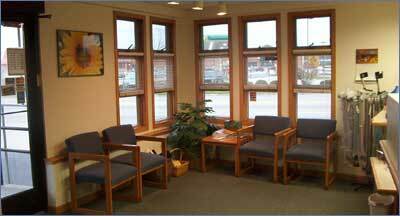 On April 1, 1996 the company moved to 2629 Charles St. where it remains today. 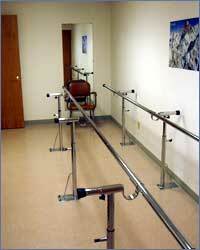 The company was incorporated Dec. 28, 1999, and continues to excel in the Prosthetics and Orthopedic market. Northern Prosthetics & Orthopedic Inc. is an accredited facility with the American Board for Certification in Orthotics and Prosthetics, National Commission on Orthotic and Prosthetic Education (Accredited Residency Site), and Board for Certification in Pedorthics. 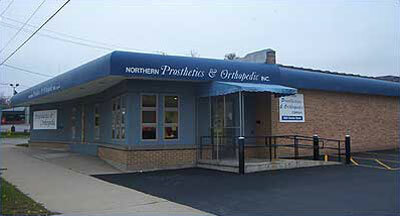 Northern Prosthetics & Orthopedic Inc. is also a member of the American Orthotic and Prosthetic Association.